There was a time when 'Normal Weekend' meant staying in bed until mid-morning, a relaxing breakfast followed a couple of hours browsing a favourite bookstore before heading home to a quiet afternoon on the sofa, new book in hand. Not any more. Yesterday both kids were up by 05:50 and squabbling by 06:00. Our groceries were delivered and unpacked by 08:30 and we were out at 10:00 for My Boy's swimming lesson and then onto various visits and appointments, not getting home until early evening. Today will be much the same - taxiing to/from a birthday party, family members coming for dinner, more laundry and cleaning up. It's the New Normal Weekend. Sometimes I find it hard - especially the early wakings - being the lone owl in a house of larks can be exhausting. On the upside it means that there are more hours in the day to enjoy this kind of cheekiness - she stole my things to look like a "real Mummy". It's been slow on the crafting front but I'm thinking about some legwarmers to use with those lovely wellies, and I'm still working on a little something to match the Supremely Simple Versatile Cuffs pattern I posted last week. Hopefully it'll be finished later - when I'm waiting outside the birthday party for a couple of hours. If so I'll be back with pictures and pattern notes for you. 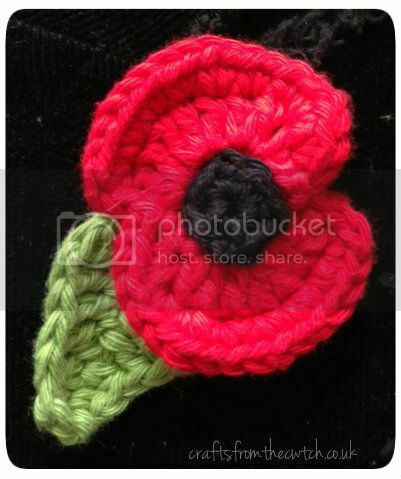 On this Rememberance Day I'll leave you with a quick pattern my friend published last year - Crochet Remembrance Poppy (my notes here). Lest we forget. She has such an engaging smile, what a cutie. I feel much more of a referee or taxi driver these days than an individual, however now my oldest is taller than me and the other two are catching me up the days of lingering brunches and relaxing Sundays may be on the way back! Yep, same in my house....I love the idea of a weekend lie in, or a Sunday afternoon film on the sofa....but it's not to be, I couldn't say I'm an owl, but I'm still not sure I need early mornings every morning....I have a scoot and skate this afternoon followed by a birthday tea party. 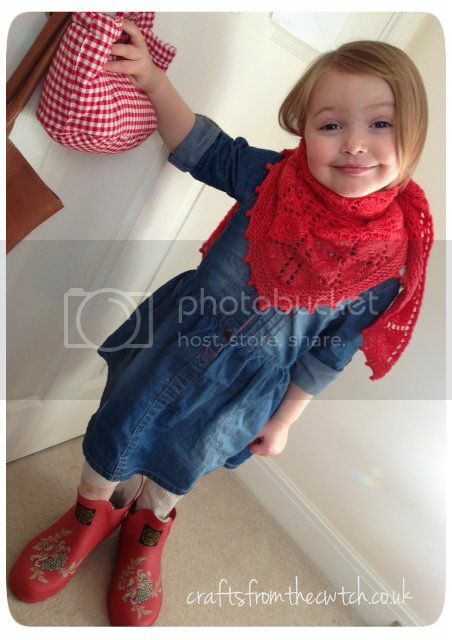 Your little lady is such a star...I'll bet she has everyone wrapped around her little finger! Oh she is adorable! Love that shawl on her lil' neck. As a fellow SAHM, I totally feel ya. I love having my girls home but boy can they snipe at one another. It's wearing and being their personal chefs along w/the pickiness? But I'm blessed and it can't get betta than this. I remember lazy breakfasts, mornings in Selfridges and lunches at the oyster bar. Still, a full English with my girl is pretty special too and I wouldn't trade.